Lead your guests in the direction of sweet treats with this pretty bunting from our Scripted Marble collection. With ‘pick your own’ candy buffets becoming more and more popular at weddings, this bunting offers an easy way to make your selection really stand out – simply attach to your table or wall to create a stylish look for your celebration. 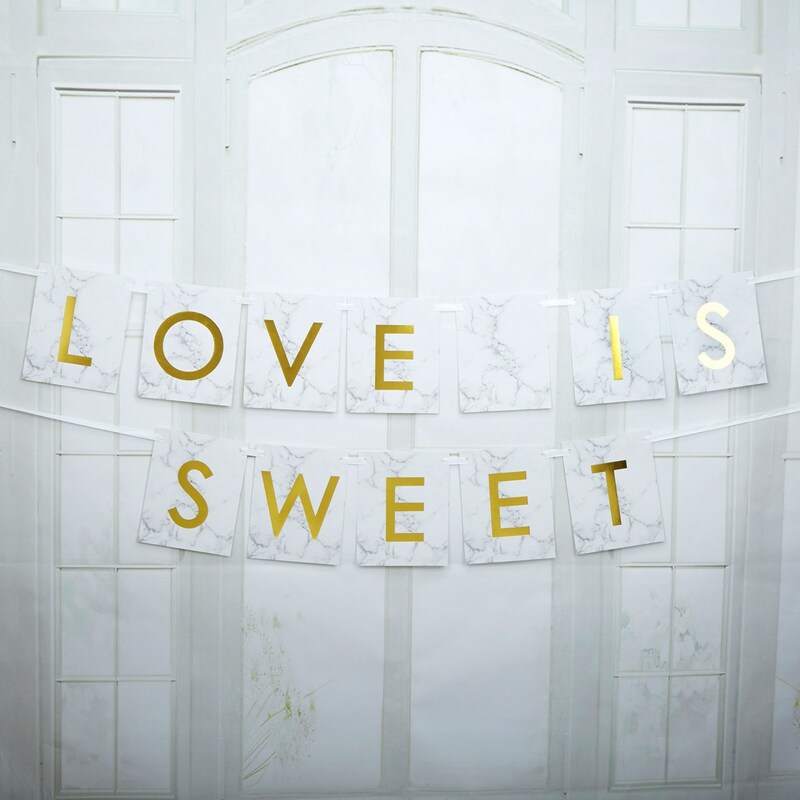 Measuring two metres, the bunting features a subtle marble background and gold lettering spelling out ‘Love is Sweet’.